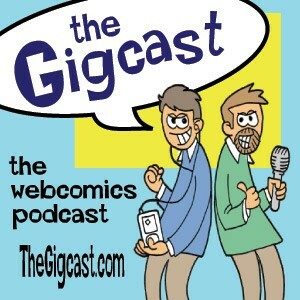 The Gigcast » Blog Archive » The Gigcast 199… The end? The Gigcast 199… The end? Battlepug: The Web Comic was born out of desperate scramble to appease iFanboy. They contacted Mike to create a signature t-shirt for a new line of merch. However, Mike had been working exclusively with DC Comics for 4 years and had no original properties that he could reveal to the world yet. He drew the image you see above and had Allen color it. And lo, a BATTLEPUG was born! NEW DELHI — India’s first comic book convention opens in the capital New Delhi on Saturday, with organisers expecting thousands of fans to prove the art form is thriving in the Internet age. Comic Con India will introduce the country’s booming youth market to new graphic characters including a warrior blessed by the sun god and a half-otter half-human superhero. Jatin Varma, organiser of the two-day convention, told AFP that the effects of India’s recent economic dynamism have spread from big business into the alternative worlds of youth culture and underground art. Posted by jtpokie on Thursday, February 17th, 2011 at 9:06 pm.